throughout the scene still to this day. 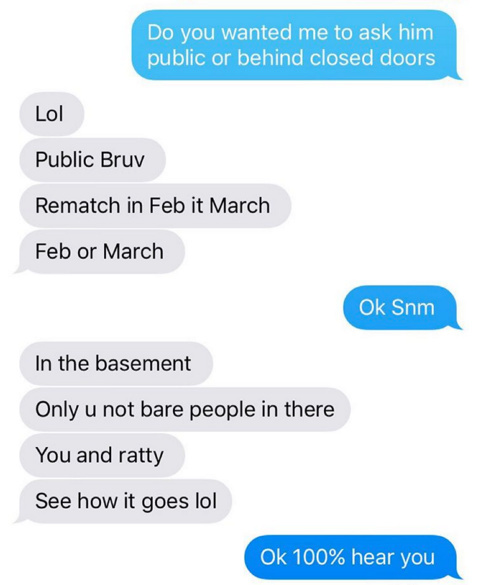 Eleven years later and it seems Wiley has a score to settle and with Lord of the Mics 8 set to take place next year, screenshots have been posted on Jammer’s Instagram showing what appears to be Wiley sliding into the LOTM organizers inbox to put his name forward for a rematch with Kano. Looking for a clean rematch, “not a disrespect war”, three 16s per round. We will have to wait and see if the clash actually happens (Kanos twitter has been silent). But grime fans would definitely like to see a conclusion to one of the biggest debates in Grime. 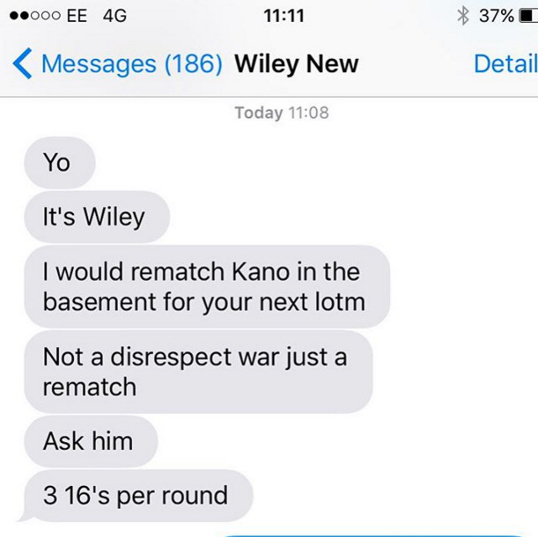 Who won the clash between Kano and Wiley.